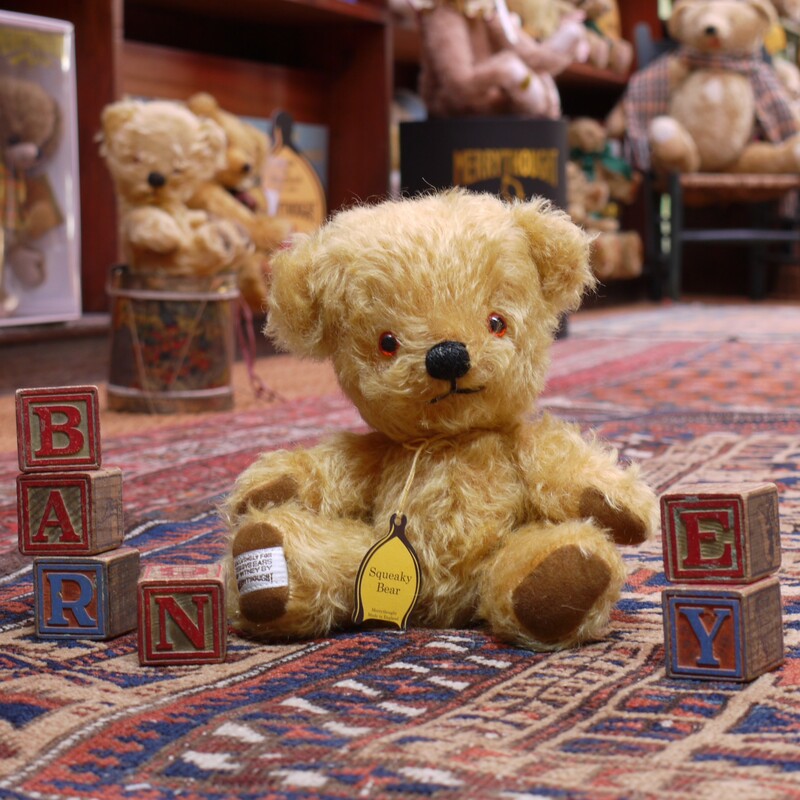 Barney is a replica of a circa 1955 English bear, which belonged to a local lady. Retaining a strong sentimental attachment to her childhood bear but, having no relations to inherit him, Susan came to us in the hope that he could ‘live on’ in our care. Barney is a faithful likeness of the original bear in his younger days. Made of sparse and distressed, gold mohair, he has amber and black safety eyes and brown ultrasuede paws. He is softly pellet filled and feels as friendly as he looks. Squeeze his tummy and he squeaks.